MAMA is a stage stunner. Having Opened for Kele’s (Bloc party Frontman) European tour, her performance was described as ‘dripping with sensuality’, her tracks ‘admired for their sophisticated sultriness…dark, yet scorching, moody, yet danceable’ and her persona ‘an intriguingly sophisticated diva-in-waiting’. But MAMA is not waiting. She’s dropped her first solo album ‘Dreams of Liberty’ in September 2014, and with it a seductive array of dark, delicious tracks all written and produced in her bedroom in Berlin during one of those bitter cold winters Berlin is known for. Although recorded within the confinement of a bedroom, the songs touch on her continuous search for varying forms of freedom: spiritual, geographic, sexual, and emotional. Contrary to its name though, Dreams of Liberty is anything but a happy, dreamy album. It is deep and shadowy; the songs are based on MAMA’s personal experiences and the fear, obsessions, and triumphs in her surroundings. Describing the sound and classifying it is no easy task. A unique concoction of RnB, house, techno and trip hop, one could perhaps call MAMA’s music ‘Tech-Hop’. This blend of genres all makes sense when she lists her influences: Dr Dre, Tricky, Massive Attack, Björk, Mary J Blige, The Smiths, Grace Jones and sounds of Acid House and UK Garage. 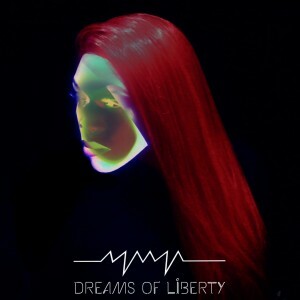 Dreams of Liberty is out now with sophisticated slow burners and urgent show stoppers that expose her soul and drive deep into the listener’s consciousness.